Full credit to @westingham on Twitter for finding this ad that's my favourite from 2013 so far. 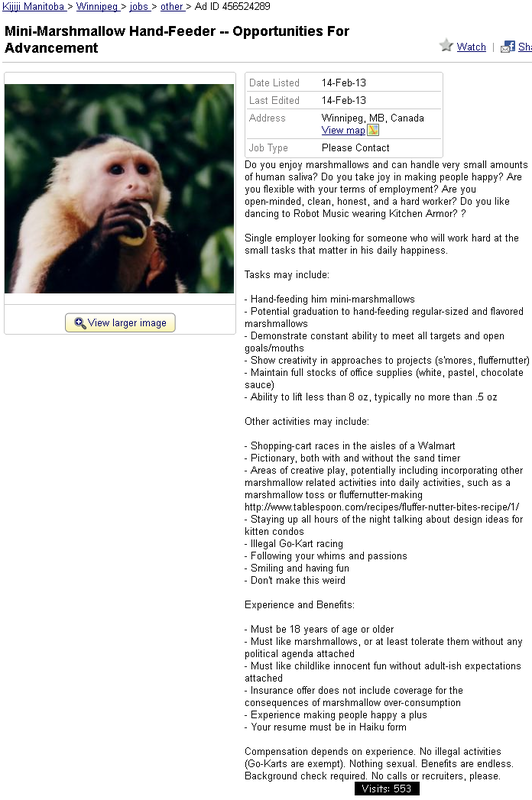 If you've ever wanted to hand-feed marshmallows to a monkey on the edge of insanity, here's the job for you. And best of all, it's in the crazy-ad Kijiji capital of Winnipeg, Manitoba. Do you enjoy marshmallows and can handle very small amounts of human saliva? Do you take joy in making people happy? Are you flexible with your terms of employment? Are you open-minded, clean, honest, and a hard worker? Do you like dancing to Robot Music wearing Kitchen Armor? ? 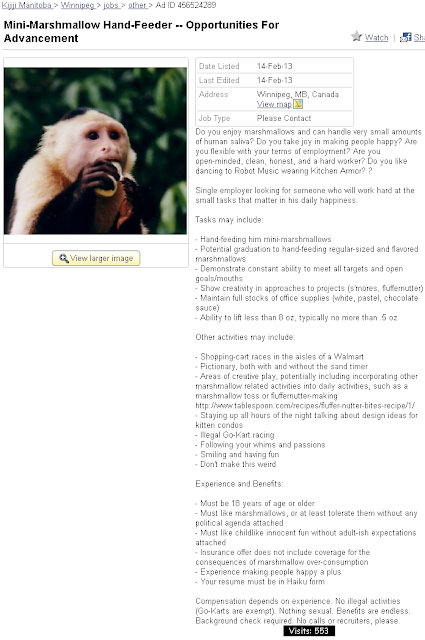 Single employer looking for someone who will work hard at the small tasks that matter in his daily happiness. Compensation depends on experience. No illegal activities (Go-Karts are exempt). Nothing sexual. Benefits are endless. Background check required. No calls or recruiters, please.